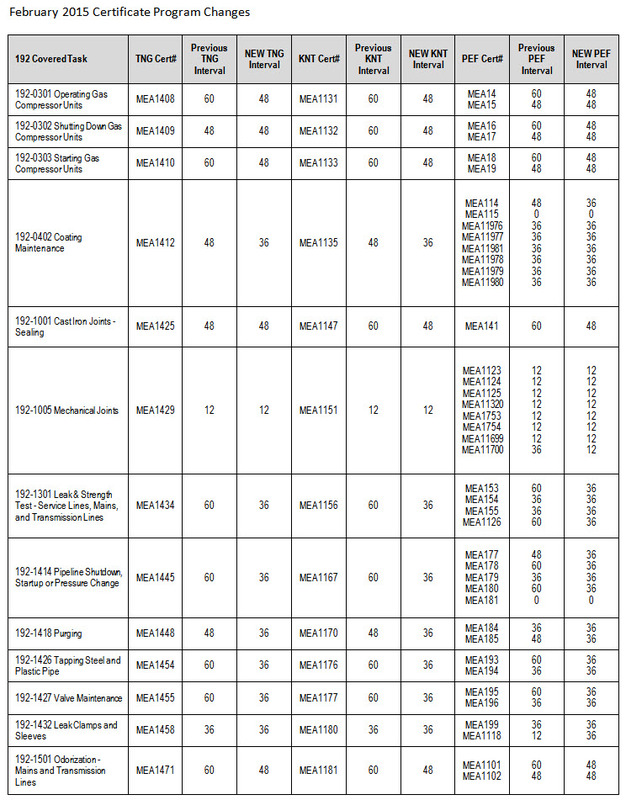 MEA changed the requalification interval for some certificates. This change was done in order to provide consistency between the TNG, KNT and PEFs for any covered task. Except for one, no intervals were lengthened, but were defaulted to the lesser interval. Click HERE to download an updated certificate list. This change will have no effect on current certificate expiration dates. As certificates expire and users retake the courses, the new certificate intervals will take effect. If you wish to have the current expiration dates modified as a result of this change, you will need to un-enroll and re-enroll your users from the changed certificate programs.